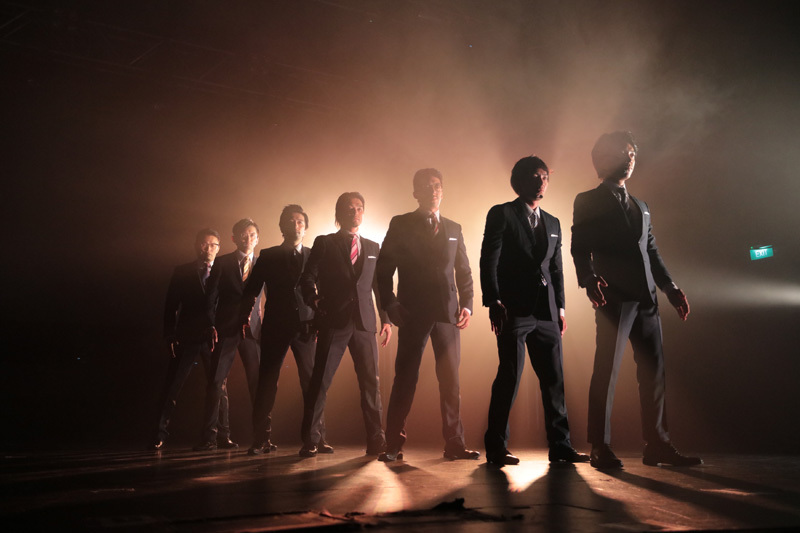 With a mission to spread the Japanese Popular Culture to the world, MOSHI MOSHI NIPPON comes to town with the MOSHI MOSHI NIPPON FESTIVAL 2015 in Singapore over the first weekend of September at the *SCAPE The Ground Theatre and *SCAPE Playspace. Comprising of 4 components, the Exhibition booths, a Mini Outdoor Stage, the Day Stage as well as ticketed Night Concerts, Kenneth Wong reports from the event. Starting off with the many booths & activities over at the *SCAPE Playspace, the LIVE DAM booth seems to be the most popular one with free karaoke session for visitors from the premier karaoke maker with a large crowd gathering there to either wait for their turn or to cheer friends on. Another popular booth is the one selling wide variety of merchandise, including some exclusive items from the Artists who made the trip down. Visitors to the MOSHI MOSHI NIPPON FESTIVAL booth area also had a chance to mingle with their favourite idols as live interviews could be seen going on at the CHEERZ booth while popular models also helped add that special personal touch to the marukome × MOSHI MOSHI NIPPON booth where delicious miso soup products were on sale. Anna Yano also held a mini meet and greet plus autograph session to the delight of her fans. 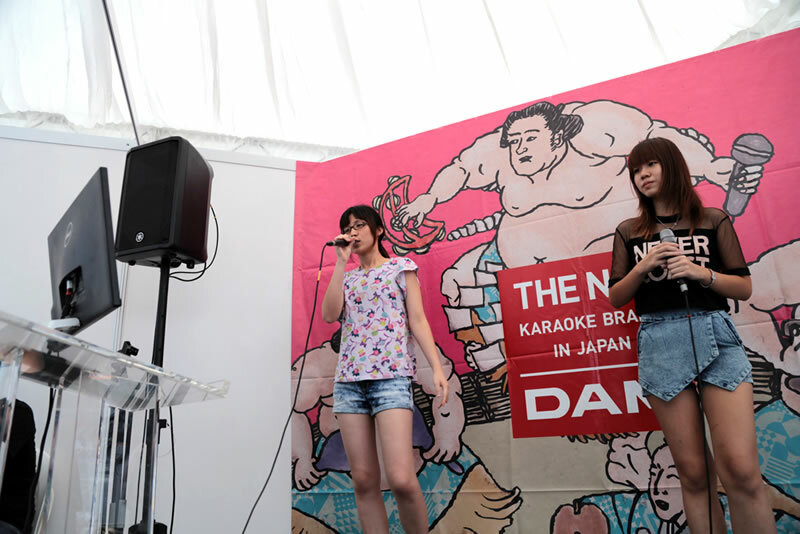 The Mini Outdoor Stage also saw a whole line up of exciting activities such as meet the fan sessions as “yume-kawaii” (dreamy cute) themed Idol group BPM15Q meet excited fans. 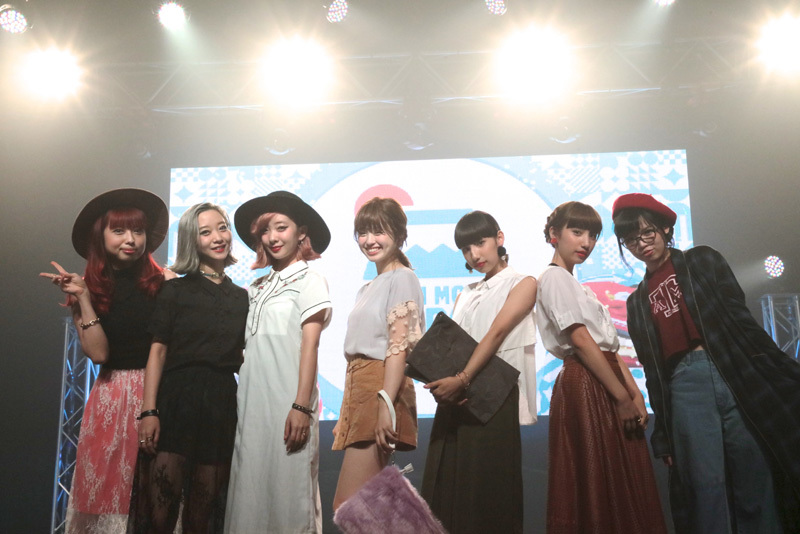 Other appearances at the Mini Outdoor Stage included models AMIAYA and Hikari Shiina plus artistes PCF and Matsushita. 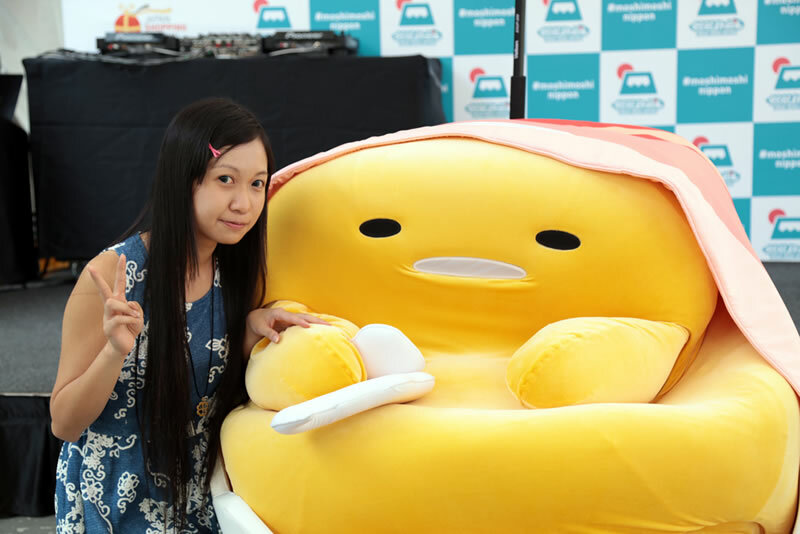 What stole the show for me was the appearance of the cute Sanrio Gudetama which saw lots of photos and selfies from visitors to the event. Over at the *SCAPE The Ground Theatre, a whole line up of activities happened over the which saw a good crowd inside who might have also figured out it is a good way to hide from the heat and slight haze outside. From an exciting segment featuring the latest trends with the Harajuku Fashion Show. Popular singer and model Anna Yanno also made an appearance on stage while a special Singapore cosplay fashions show featuring cosplayers such as Ying Tze, DD-Tenka and Angie0_0 rounded up the Day Stage segment. Transforming the *SCAPE The Ground Theatre in a colourful electronic dance hall, the Night Concerts are worth every cent as top names from the industry showcased their talent. 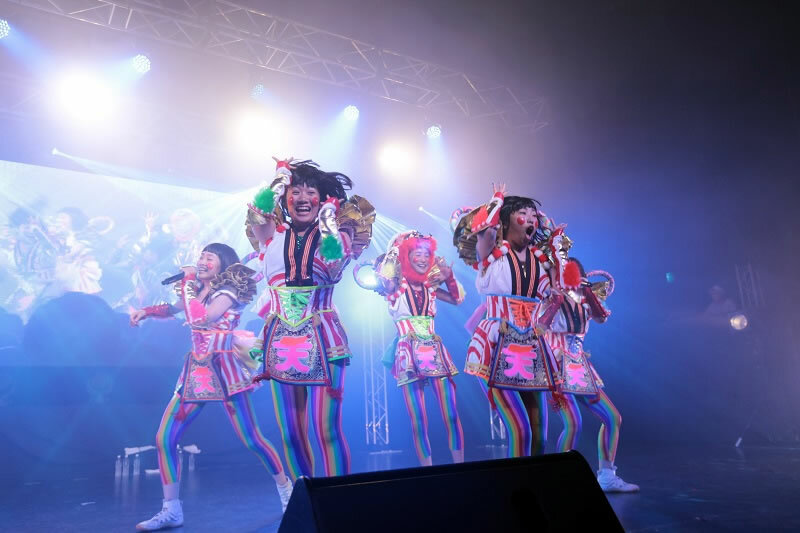 From the ever popular Japanese electronica duo CAPSULE consisting of vocalist Toshiko Koshijima and producer Yasutaka Nakata to the highly coordinated dance team WORLD ORDER, Saturday night was a highly energetic one. Equally enjoyable looking at all the King Blade light sticks and their movement, was the line up for Sunday which featured the likes of Japanese pop dance group TEMPURA KIDZ, Hachioji P and kz(livetune) which saw Anna Yano come on to sing a few songs. Anime fans were also in for a treat as yanaginagi took to the stage to end off the night and the event. It was definitely a nice break from my Singapore General Election 2015 coverage to attend something more familiar in the form of Japanese Popular Culture. Even though the event is rather small compared to the bigger ones that fans are used to, the idea and concept is there and I look forward to seeing MOSHI MOSHI NIPPON continue to grow here in Singapore.